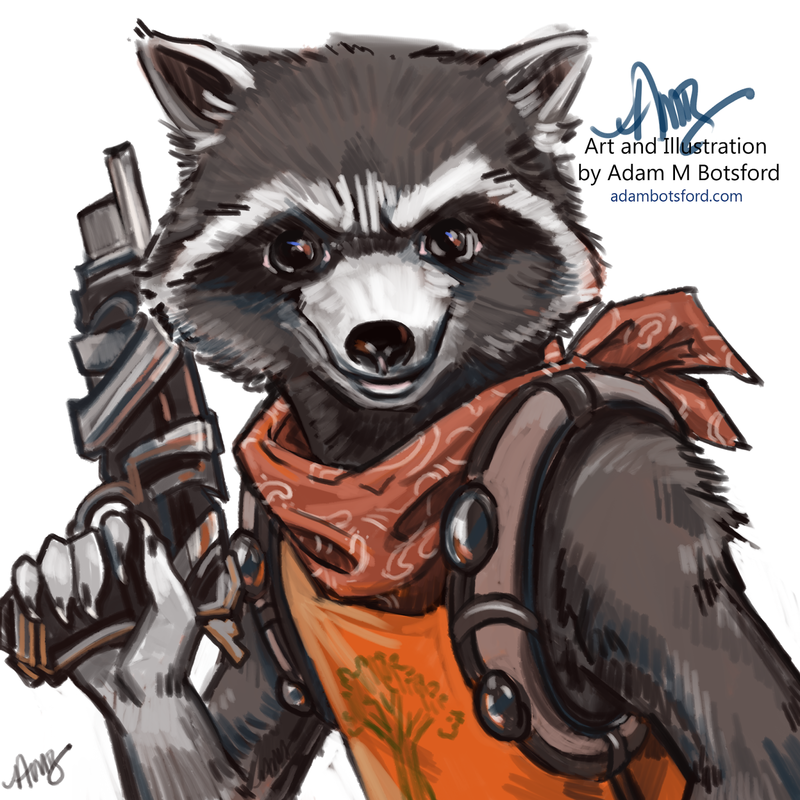 Alright, final update on this Rocket Raccoon image. I did some final detailing and I’m feeling a lot happier with it. Again, I took a lot of liberty with the look and feel but I like the overall feel.